But it was 18-year-old Rod’s highly atmospheric reading of Bernard “King Karl” Jolivette’s “This Should Go On Forever” that became a national smash in 1959. Despite competition from King Karl’s original rendition, belatedly released by Excello in the fast-spreading wake of Rod’s hit, and the unknown Ronnie Dee’s soundalike cover on Savoy (cut with Gene Terry’s Down Beats), it was Rod who mimed his smash on national TV. That was a long way from Opelousas, where Bernard held down a daily airshift on KSLO radio. “A couple of weeks earlier, I was playing songs by Frankie Avalon and Chuck Berry. And all of a sudden, I’m on tour with them! It was like, ‘What am I doing here?’” he marvels. “I’m on the same stage, the same show, with Chuck Berry and Jerry Lee Lewis and Mickey Gilley and a whole bunch of guys. Mickey hadn’t made it real big yet, but Jerry Lee had. More good times are in store on the first night (Oct. 2) of the Ponderosa Stomp when Bernard co-headlines an all-star swamp-pop revue with Gene Terry and Tommy McLain, their backing provided by the Mama Mama Mamas, led by guitarist C.C. Adcock and featuring Pat Breaux, Steve Riley, and Dickie Landry. “I haven’t sung anywhere or played music in years,” says Rod. That makes his upcoming Stomp appearance all the more special. Born Aug. 12, 1940, in Opelousas, Rod had no musical models in his immediate family, though his grandfather operated the Courtableau Inn in Port Barre where Cajun mainstays Aldus Roger and Papa Cairo held forth. 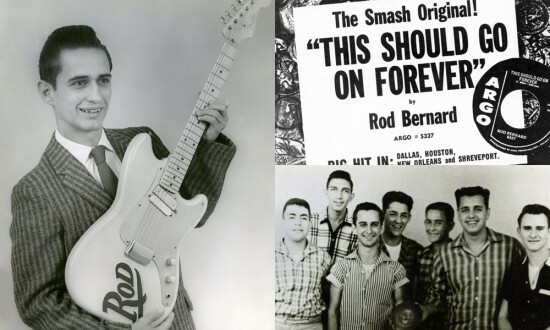 Rod played rhythm guitar with the Blue Room Gang, a group of youngsters whose Saturday country-music program on KSLO was sponsored by Felix Dezauche’s feed store. “When I was about 10 years old,” says Rod, “I went up to the radio station where Johnny Wright was the program director and asked him if I could have my own radio program. And he said, ‘Yeah, but you need a sponsor.’ So that kind of threw water on the thing. So I went back to my grandmother’s house, and I was sitting there. Right across the street was the Lincoln-Mercury place, and I knew some of those men there. They would come over to our house and drink coffee with my grandmother and grandfather. 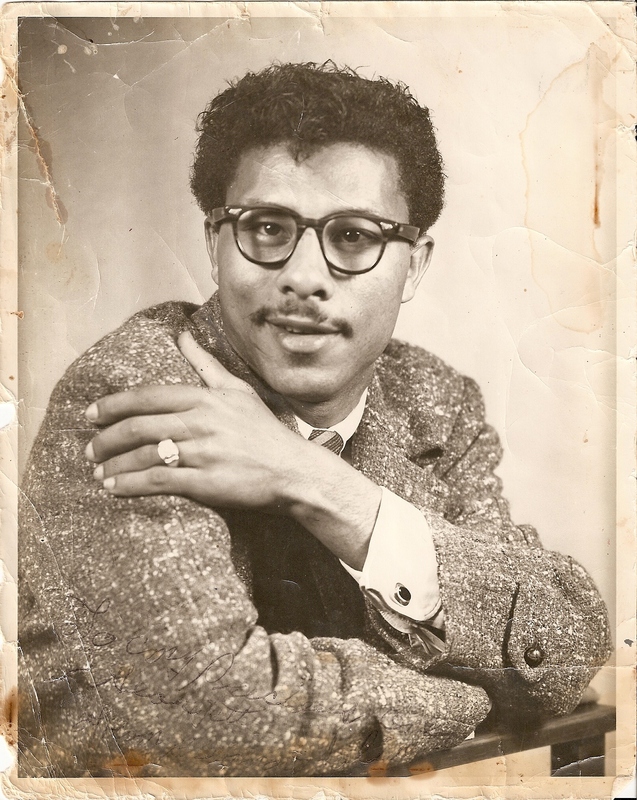 Back in Opelousas, “Hot Rod” patterned his deejay patter on his KSLO program “Boogie Time” after that of J.P. “The Big Bopper” Richardson, then burning up Beaumont’s airwaves spinning rocking R&B over KTRM. But Bernard’s musical ambitions remained. 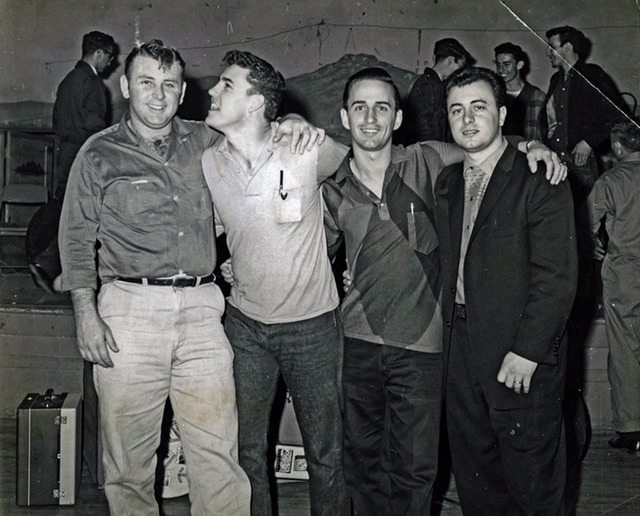 “We were in high school, and Mike Genovese, who was killed in a car wreck right after we graduated from high school in 1958, he was forming a band,” says Rod. “He asked me if I would be the singer. So he named it the Twisters. It had nothing to do with the dance, the Twist. It was just like a hurricane, a twister.” Genovese doubled on guitar and saxophone as the Twisters’ bandleader. Rod cut his 1957 debut single for Jake Graffagnino’s Carl label pairing the rocking originals “Linda Gail” and “Little Bitty Mama.” “We wanted to have some records pressed that we could bring around to record hops and deejays, and just make a record for the fun of it because no one else was doing that at the time,” says Bernard. “We would hang out a lot at Jake’s Music Shop in Opelousas. And we told him what we’d like to do. So he knew how to put a master tape together, which we did at the Southern Club in Opelousas with one microphone. Genovese received bandleader billing on Rod’s Carl encore, coupling his own stormer “All Night In Jail” and a ballad written by Mike, “Set Me Free.” “He was a very good musician,” notes Rod. 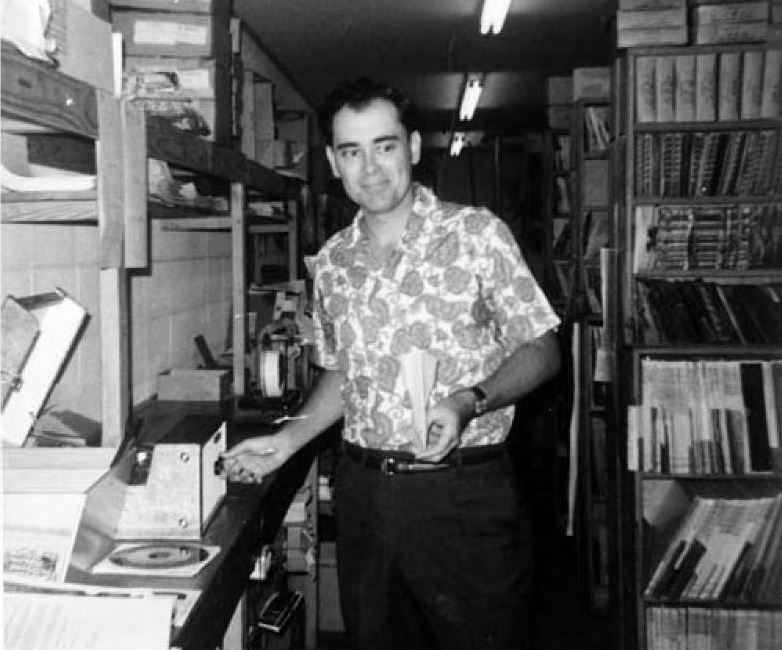 This time they set up a mic at Jake’s Music Shop and recorded there, Graffagnino handling the trumpet solo on “All Night In Jail.” “They really didn’t sell anything,” says Rod of the two obscure Carl 45s, pressed in quantities of 500. “Nobody paid attention to it. Most of the radio stations wouldn’t even play ‘em because the quality was so bad. You can imagine, recording it in a nightclub instead of in a studio, it really didn’t have that good quality to it. 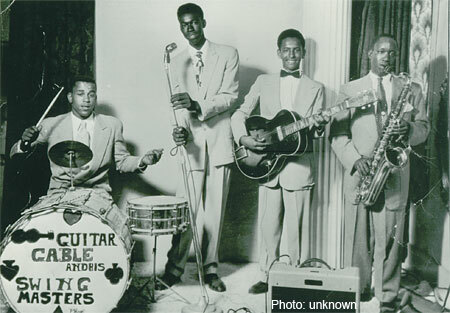 King Karl, front man for local R&B fret wizard Guitar Gable, encouraged Rod to cut his creation “This Should Go On Forever,” which Gable and Karl waxed for Excello and Crowley, La., producer J.D. Miller in February of 1957, only to see it languish on the shelf. “I went to a nightclub one night when I got off work, and he said, ‘Rod is here from KSLO. We’d like to play you our next record,’ which was recorded,” he says. 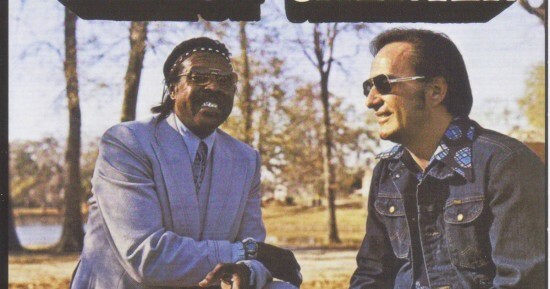 With Excello boss Ernie Young unconvinced of the song’s potential, Karl didn’t mind the thought of Rod cutting a fresh version of “This Should Go On Forever.” “(Jin Records owner) Floyd Soileau in Ville Platte called me and said, ‘You guys want to make a record? I’m starting a record label!’ And I said, ‘Sure!’” says Bernard “He said, ‘Can you find a song?’ I said, ‘Man, I’ve got a song. I don’t remember the name of it, or remember the melody, or remember the words.’ But I went over to Karl’s house, and I told him the deal. Rod chose as his Argo followup “You’re On My Mind,” another swamp-pop ballad penned and first waxed on the Mel-A-Dee label by Lafayette, La., pianist Roy Perkins. “It was always one of my favorite songs,” says Rod. “Those three-chord progression-type songs, there were so many of them around here. And I liked ‘You’re On My Mind.’ We played it in the band the Twisters a lot. So we recorded it.” King Karl provided the B-side, “My Life Is A Mystery.” It didn’t hit. 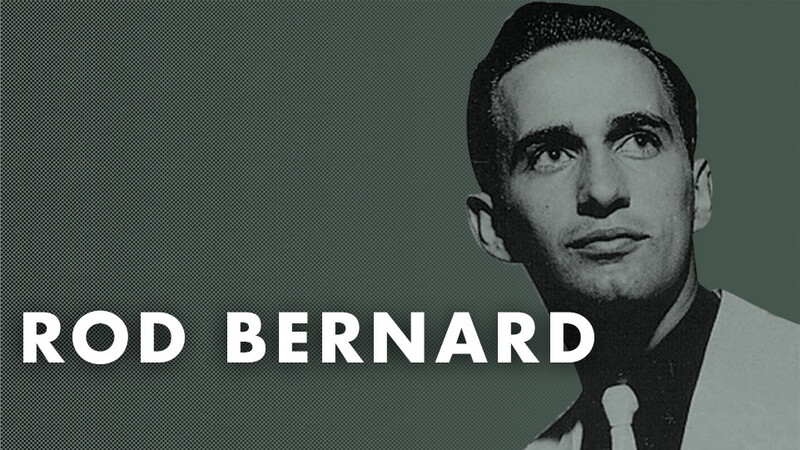 Recording at Hall’s Beaumont studio, Bernard had a minor national hit in late ‘59 with his first Mercury outing, “One More Chance.” It was penned by the Bopper, who had recently perished in the horrific plane crash with Buddy Holly and Ritchie Valens. “Jack Clement had moved from Memphis,” says Rod. “Bill talked him into moving to Beaumont. And they built this studio, and that’s where we recorded most of the things during that period of time.” Bernard wrote the flip, “Shedding Teardrops Over You.” Both sides were quality swamp-pop ballads. Authorship on both sides of Bernard’s early ‘60 Mercury encore, twinning the jumping “Let’s Get Together Tonight” and a swampy “One Of These Days,” was credited to Karl Harrington, who wrote for Hall’s Big Bopper Music. Then Mercury dispatched Rod to Nashville to cut with Music Row’s A-Team, including saxist Boots Randolph and pianist Floyd Cramer. “That was a time when Brenda Lee and a bunch of people like that were hitting it big with the Anita Kerr Singers and the Jordanaires,” explains Rod. “They were getting one hit after another, so Mercury said, ‘We should bring Rod up here and let him record with this!’ More or less like an orchestra was what it amounted to. It sounded like a good deal to me, so we went up there and did it.” In the process, Bernard’s swamp-pop edge was smoothed out. Nonetheless, he made some nice singles in his new surroundings. First out of the box was the engagingly upbeat “Dance Fool Dance,” another of the Bopper’s creations (Boots provided a delicious sax solo). 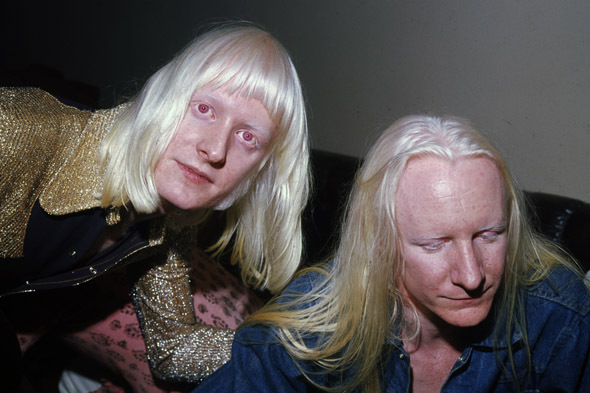 Clement’s pop-oriented ballad “Two Young Fools In Love” occupied the flip. 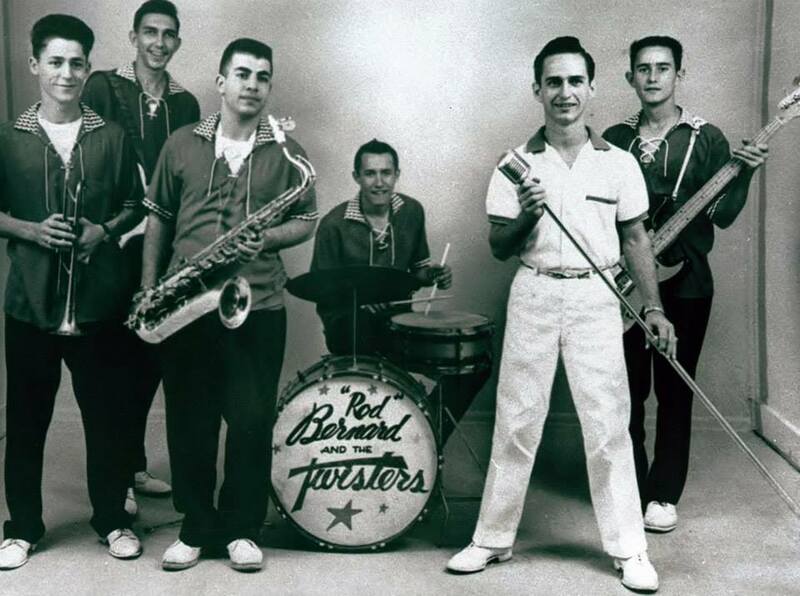 Bernard’s next 45, pairing “Just A Memory” and the Bopper’s “Strange Kisses,” was done at the same date. Rod wrote his early ‘61 Mercury offering “Lonely Hearts Club,” attached to a reprise of Otis Williams’ doo-wopping Charms’ “Who Knows” (it was the B-side of their 1954 R&B chart-topper “Hearts Of Stone”). The Winters played on Rod’s first Hall-Way single, a rocked-up revival of the Cajun standard “Colinda” that hit the shelves at the start of 1962. “I didn’t want to do it,” says Bernard. “We played ‘Colinda’ on the bandstand, saying this was the Louisiana national anthem. Actually, it’s ‘Jole Blon,’ but anyway, we’d say it. And Bill heard us play it one time. And he said, ‘Man, I want you to record that Cajun song!’ So that’s when Jack Clement started putting arrangements to it. He set it up into that rock and roll-type beat. “I recorded it the night before I left to go to Parris Island. I had joined the Marine Corps. And I was at the boot camp. I went to combat training at Camp Lejeune in North Carolina, and we were laying in the bunks one night with radios on, all tuned to this one station around Camp Lejeune. And the guy said, ‘I’m gonna play you Rod Bernard’s new record!’ And he played ‘Colinda.’ And it really shocked me because I didn’t even know Bill had released it, or was going to. I hadn’t been in touch with him in months because during boot camp and all that, it’s really tough. You can’t make phone calls, you can’t have TV sets, you can’t have radios, you can’t read newspapers. So I was kind of out of it for 12 weeks. I didn’t know what was going on. Mercury’s Smash subsidiary distributed Rod’s ‘63 Hall-Way outing “Wedding Bells” (its opposite side, the clever charmer “I Had A Girl,” name-checked several pop stars of the day and was penned by rocker Narvel Felts). The name of Bill’s self-named label had been shortened to Hall by the time Rod turned in a strong rendition of R.S. Hebert’s swampy ballad “Forgive” in 1963. “Somebody in south Texas had recorded it, and it didn’t do anything for them,” he says. “Then Bill Hall heard it and said, ‘That’d be a good song for Rod.’ So they taped it and taught it to me.” Apparently the original was done not long before by Jimmy “Frenchy” Dee and released on the Scope and Taper labels; Mickey Gilley played piano on the obscure single and later cut “Forgive” himself for Stan Lewis’ Shreveport-based Paula Records. The big news in Bernard’s musical life had taken shape the previous year, when he and two equally high-profile pals formed the first swamp-pop supergroup, the Shondells. “That’s after I got back from the Marine Corps,” he says. “I stayed there for six months, and then I went into the reserves. And when I got back, I went back to work at the radio station, and Skip Stewart was a deejay there too. So we started talking about forming us a band. Warren Storm was a really good friend of ours, so Warren played drums, Skip played bass, I played rhythm guitar, and we got a couple of saxophone players to come with us. Rachou and Bernard went into business together in 1965. “There wasn’t anything going on. So Carol and I got together and said, ‘Let’s start a label!’” says Bernard. “So I got the ‘Ar’ from Rachou and the ‘bee’ from my name. We put it together and made it Arbee.” The logo’s debut offering was the blistering rocker “Recorded In England,” sporting sardonic lyrics (Rod co-wrote it) and younger brother Oscar “Ric” Bernard’s slashing lead guitar. Meaux produced the bubbly R&B-slanted “(Come On Over) Let’s Start A Commotion,” Rod’s Copyright encore, the work of Bob McRee and brothers Cliff and Ed Thomas, who operated the Grits ‘n’ Gravy Studio outside of Jackson, Miss. (Warren Storm also recorded there under Huey’s supervision). 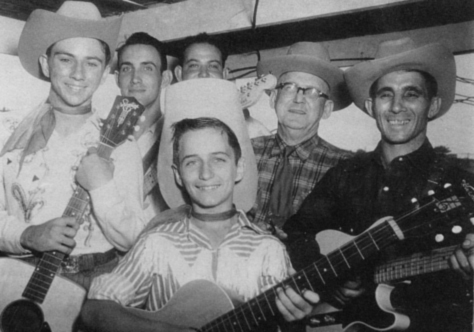 McRee and Tim Whitsett brainstormed the flip, “In This Small Town.” Meaux also issued a couple of Bernard 45s on his Tear Drop imprint, “Our Teenage Love,” which co-writer Jerry Raines had cut for Mercury in 1960 (Bernard did a version for Mercury that went unreleased), paired with Tony Montalbano’s intriguingly titled “Doing The Oo-Wa-Woo.” It was followed by “You’re The Reason I’m In Love,” backed with “My Jolie Blon” (Rod finally got around to cutting the ‘Louisiana national anthem’). Bernard gravitated back to Soileau’s Jin Records in 1968 for “Congratulations To You Darling” and then Meaux’s “Cajun Honey.” “Floyd and I have been close friends since 1958. I really admire him, look up to him, treasure his friendship. He was always good to me, and always paid me the money I had coming to me. He was one of the few producers or record-company owners around here that did that,” Rod says. “He always pays all the singers, writers, recording artists. Whatever money that we have coming to us, he always sends us a check every December.” Meaux was temporarily back in a production role for “Cajun Interstate,” Rod’s 1970 single on Shelby Singleton’s SSS International logo (Bernard penned it with Futch). In 1976, Jin released “Boogie in Black & White,” Rod’s groundbreaking 1976 album in partnership with zydeco legend Clifton Chenier. “That was my idea. I wanted to take some rhythm-and-blues songs and put that piano and scrubboard behind it. It’s something that we came out with way too early,” says Bernard. Don’t miss this rare chance to see one of swamp pop’s architects perform his classics, including “Recorded In England.” “C.C. really likes it because he gets to really play lead guitar and a lot of it on that song, so I know that’s one we’re going to do,” says Bernard. “That’s going to be our opening song.